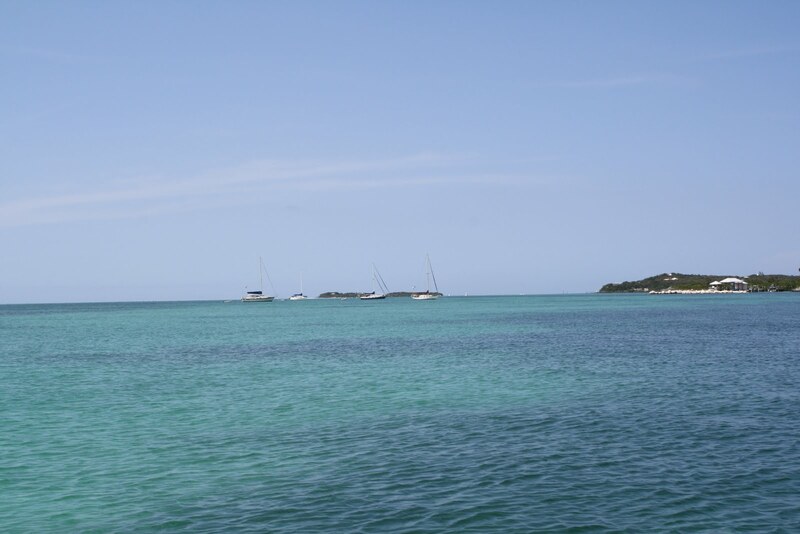 Then there is the slow, local mail service, lack of selection on groceries….I could go on and on….but thankfully I focus on the positive…..our beautiful surroundings……and who cares if i can’t get fresh salad greens if I have this to look at…..
Days spent island hopping with friends are priceless! I even got to meet and spend some time with a lady I met briefly a year ago. I could have sat and chatted with her and her husband all afternoon! We have been Facebook friends for the last year and today got to sit down, chit chat and have some laughs. They live in Savannah, Georgia (one of my favorite places on earth!) and were generous enough to give me some hand milled grits and rice, made at their home! I cannot wait to try them! On that journey yesterday I was also fortunate enough to find a vintage quilt. I think the fabrics are probably from the 50’s or 60’s. 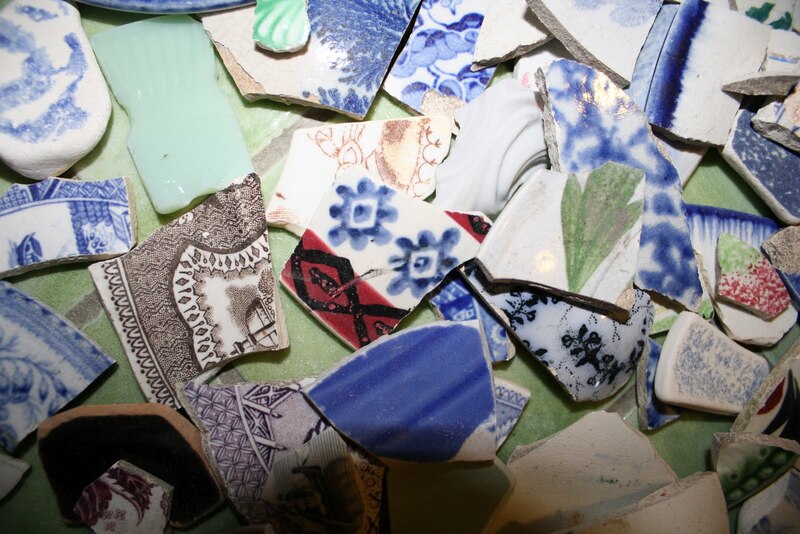 A small bucket full of antique pottery pieces from way back when! This photo above is just a sampling of it. There are unusual colors in there like green, purple and brown also! I want to find out more about some of these pieces…….their history and the story behind them, but my ultimate goal is to make them into jewelry components. There are some larger pieces with crests and writing on them. It is difficult for me to read, but I am sure if seen by someone who knows what they are doing, it will be easily identifiable. So I thought I would share some of the treasures I found from the place I call home. 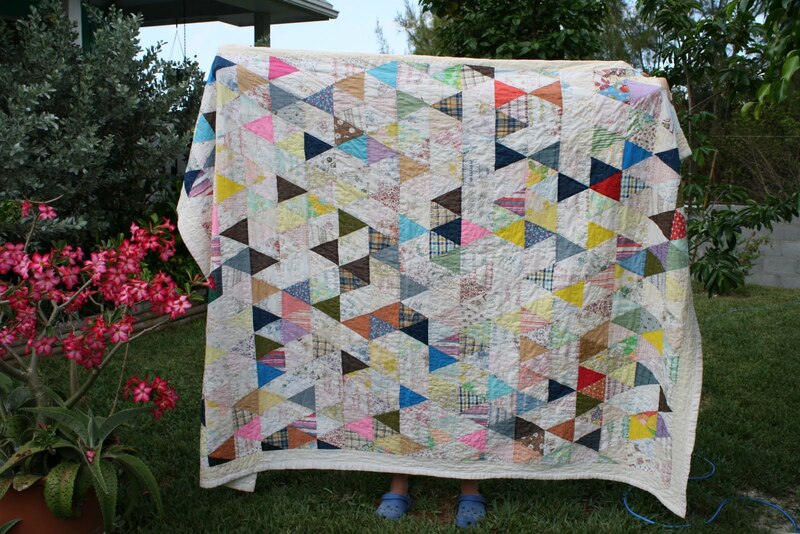 This entry was posted in abaco, antiques, friends, island scene, pottery, quilts, scrap quilts. Bookmark the permalink. ← Swaps Gifts and E-Courses!!! 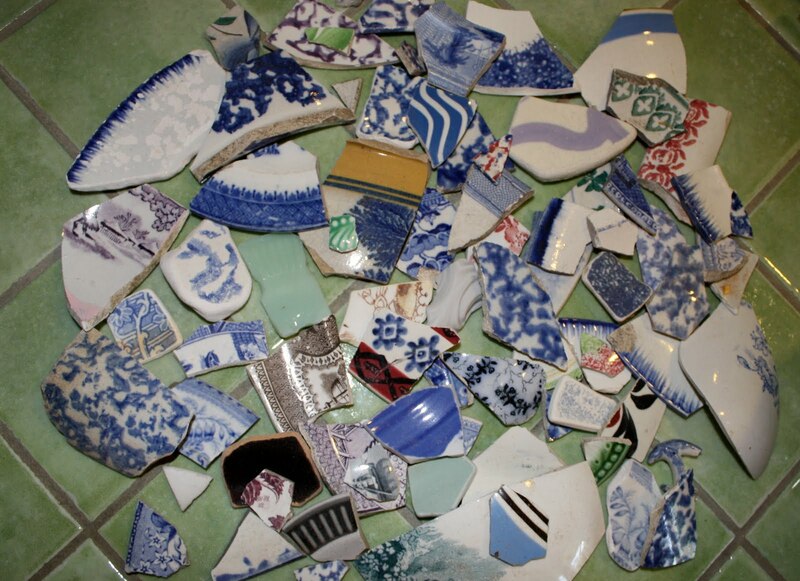 It looks like you will have some fun with all those pottery pieces. What great finds! I have always wanted to go to Savannah. I want to see the architecture there so badly! I love your view and all the fun finds you have there!! I love Savannah too, especially the food! Send me a list of anything you need and I'll mail it with your pincushion pass!of which I am working on today! Lovely finds Kimberly! Do you know when the power outages will come like a certain time? That would be bad with annealing beads! But Im sure you have things well worked out!